As I was skiing through the snow covered trees that frame the trails around Lake Louise this morning, I was thinking about how crazy it is that yesterday it was plus ten and raining and today I am back in a winter wonderland. 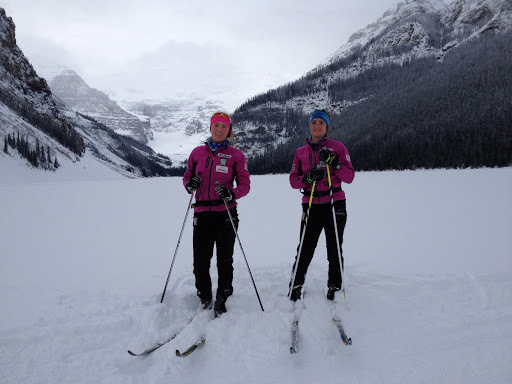 This train of thought led me to another, which was our early season skis at Lake Louise, which in turn got me thinking about my season and how it is already almost over. This then led me to think about how I haven’t written a blog post in a while. So sorry for the dry spell and here is a hopefully not too long and fairly interesting recap of what I have been up to these past two months! If we rewind back to the last week of January, we are in Duntroon Ontario for a weekend of NorAm racing. I spent much of my time between racing in Thunder Bay and heading to Duntroon, tired, really really tired. So needless to say I was unsure about how I would feel racing again. 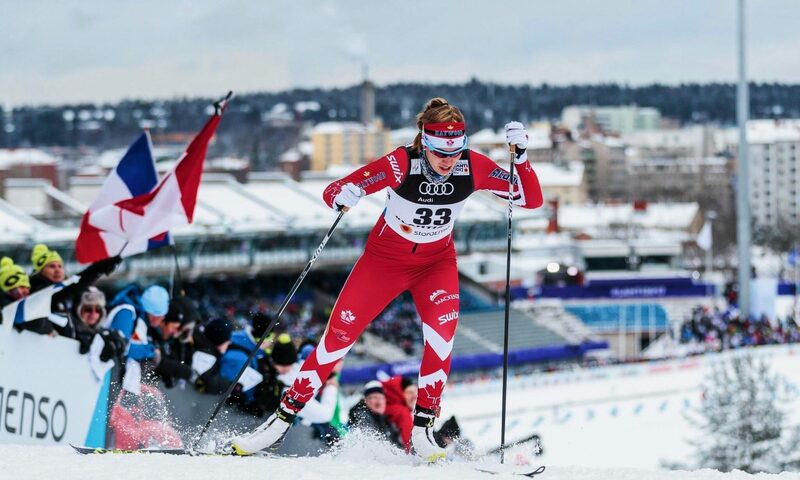 Saturday’s sprint race was classic and I qualified 9th in the open women’s field. In a tight quarterfinal I ended up tangled up with another skier and unfortunately didn’t move on, 9th on the day I stayed. The next day was a hard race for me, my body was fighting against me ever step of the way. Not my best result but I persevered through and set my focus on the next weekend of racing, Eastern Canadian Champs in Ottawa. That afternoon I set off for Ottawa to spend a few days with my Grandparents, Uncle and 2 of my really good friends before my team arrived for the races on the weekend. 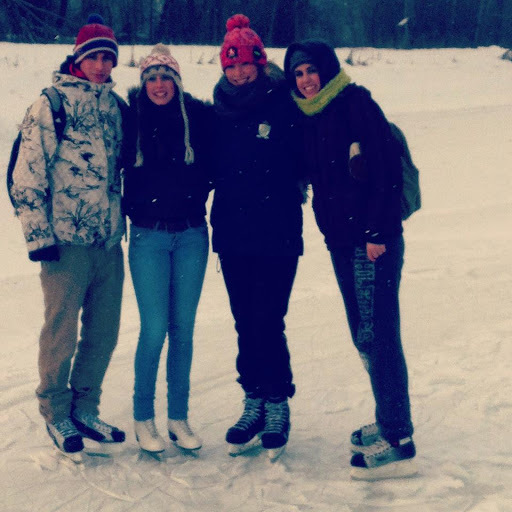 I had so much fun, I went skating on the canal multiple times, skiing in Gatineu park, walked around winterlude and took in all its many splendors as well as spent some quality time relaxing at my grandparents house. What else can I say, Ottawa is great! 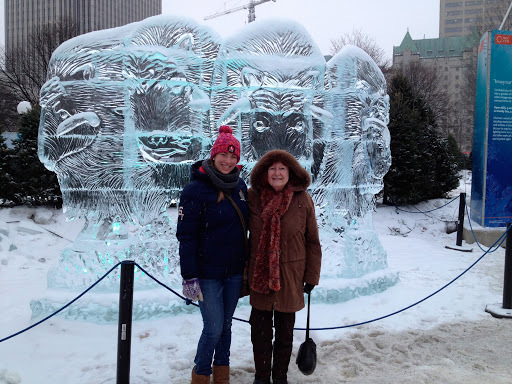 Looking at the ice-sculptures with Grandma! My three races at Easterns were an improvement for the previous week, I had a solid sprint race, finishing 10th in a more competitive open field, out lungeing one of my competitors at the finish line! I was still frustrated and disappointed with how fatigued I felt in both distance races, my body didn’t have that next gear I knew it should have had. Heading back home to Canmore I was a little discouraged so I turned my attention to my Calculus course, working on my course helped me take my mind off of skiing and I actually go part way through it. Midterm done. Check. Now if we skip forward 20 days it is now the end of February. Time for Westerns! No plane ride this time, just a 7 and a half hour drive to Grande Prairie. 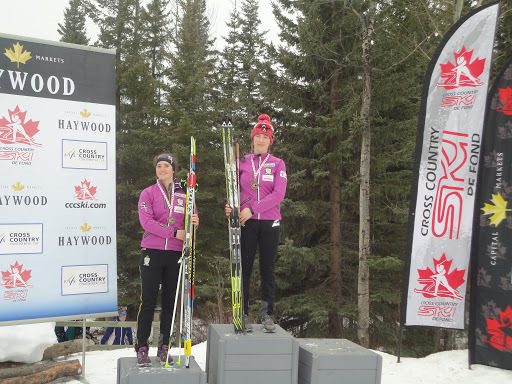 At Westerns I decided to race in Junior Female instead of Senior. The courses in Grande Prairie were fun and surprisingly hilly. I managed to top the podium all three days, being the first junior female to cross the finish line in the 15k skate making me the overall junior female mini tour winner as well. Skate sprint Junior Female podium (missing Suzanne) Academy Sweep!!!! Another great thing about Westerns was the Yukon sent down a large contingent of skiers. I was able to see many of my old teammates and had the fortune of watching the Juvenile boys 5k skate race on the last day. I was standing along the finish shoot screaming my lungs out as Caelan crossed the line first and Marcus crossed sixth just a few seconds later. 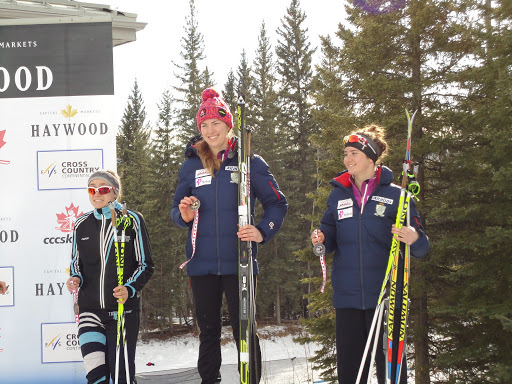 It was so great to see the next generation of Yukon skiers performing so well at Westerns. I can’t wait to watch the boys in action again in a few weeks at Nationals! That pretty much sums up my racing these past few months. On March 20th we head to Whistler for the last races of the year, the Haywood Ski Nationals. Until then I will be training here in Canmore and trying to finish my Calculus. Lets hope this new found winter weather sticks around a little longer!